Fluffy chicks and catkins galore! Colourful seasonal readers themed around essential springtime topics. Spring: it’s a time to learn about life cycles, and sow seeds, and watch fluffy yellow chicks hatching. And if your school is typical, you’ll be exploring lots of these things in class – or even outdoors! So get a head start. 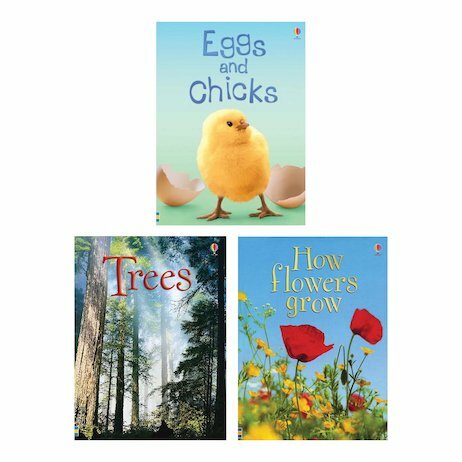 These delightful Usborne readers tell you how nature works in spring, using simple words and bright colour artwork. The perfect spring-board into school projects – and you’ll boost your reading skills at the same time!